Few things in life are more annoying than to watch your hard-earned money fly back out the door as soon it comes in. Let's see what we can do to keep more of those dollars where they belong: in your pocket. 1. Make interest your #1 enemy. The interest you pay on credit card debt, car loan, mortgage, etc., can add up to thousands of dollars a year. Keep those bloodsuckers out of your bank account! Don't buy anything with a credit card unless it's a real emergency, or you know for sure you can pay the entire balance when the bill comes. Prepay your mortgage principle a little bit every month. Plug your numbers into an online mortgage calculator to find out how much you'll save; it could well be five figures. Shop around for the lowest gas prices, or get an app to do it for you. Drive smooth and steady. Stomping on the accelerator and brake pedals really eats up the gas. Shop around for cheaper auto insurance. And get the highest deductible you can possibly afford. 3. Put a 24-hour freeze on all expensive purchases. It's so easy to get carried away by that fabulous dress in the store window, or the latest iPhone launch. Promise yourself you'll cool off for at least one day before taking the plunge. You'll usually realize that you don't "have" to have it right this minute after all, and that you're happier to wait until the price goes down (as it surely will). 4. Your new mantra: "retail is for suckers." This is an insider saying among retailers themselves. And they should know: it's common for them to charge you more than double the price they paid for their merchandise. Look — and ask — for deals, sales and coupons on everything you buy. But before you jump all over that whopping 50% off, repeat your second mantra: "If I don't buy it at all, I'll save 100%." 5. Give up one expensive habit. Quit smoking. Stop buying $4 lattes. Cut back on the booze. We know, this is a hard one. But look at it this way: the expensive habits are usually the ones that are bad for you anyway. So you can kill two birds with one stone and improve your health while you're fattening your wallet. 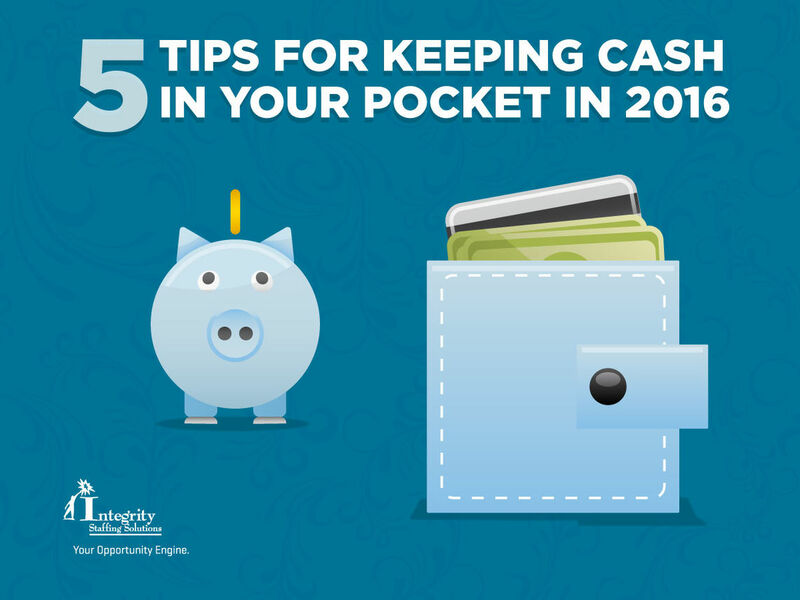 There you have it, 5 great ways to keep other people's hands off your money. And if you ever need a little motivation, just add up how much these tips will save you in 2016!